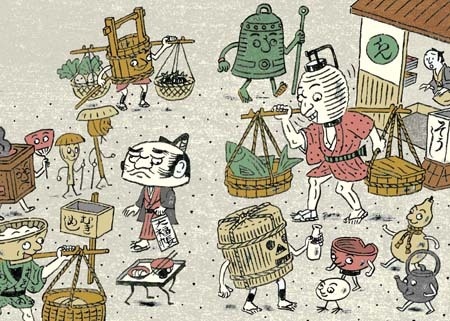 The fascinating field of Japanese Yokai (monsters) and ghosts is immense. One specific group inside this wide world are the spirits of tsukumogami (付喪神). This idea originated from Shinto religion, which believes, that everything in the world is a god and has a spirit inside. Therefore, it should be treated with respect and appreciation. Tsukumogami (付喪神 a possible translation would be “tool god”) are legendary creatures, that are basically items and tools from everyday life, which have became animated. Some state that tsukumogami are becoming alive after their 100th “birthday”, if the object in question has not been used or thrown away in cold blood. They used to be described as extremely evil and in search of vengeance, but their reputation has changed and they are mostly depicted as harmless prank spirits now. They are popular particularly among kids and teenagers, and are still appearing in various modern art such as anime and manga. Aimless wandering Japanese straw sandals, that have two arms and two legs and one egg. They are believed to run through the house at night and sing of the top of their lungs. An animated biwa musical instrument, that awakes at night and is crying and singing over its owners who are neglecting it. 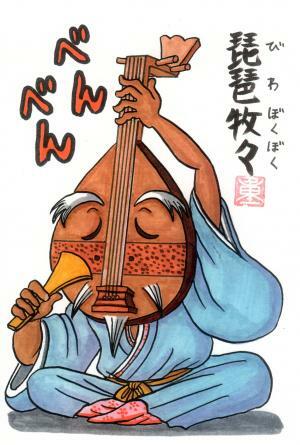 A koto (a traditional string musical instrument) which remembers all songs that were ever played on it. It usually gets active when nobody is looking. These broken old umbrellas are related to karakasa-kozō and usually appear before bad weather, flying wildly around. 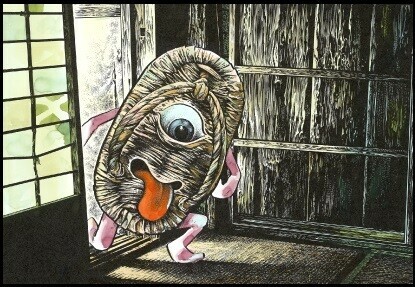 Basically, any kind of household item can be transformed into a tsukumogami. Others would be brooms, scissors, obi belts, cotton, cloth, papers, mirrors and many more! How Many of These Ghosts from Japanese Folklore Do You Know?